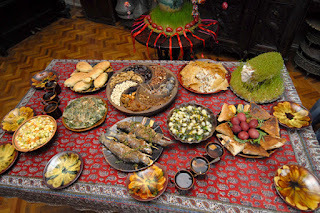 Armenia Tourism Blog: What is Easter in Armenia? Easter is tasteful and energetic, colorful, blossoming, because lent is over and spring joy enters everyone’s heart christening for resurrection and new life. Armenia’s Easter is truly lively. It is a holiday one won’t stay home. Aspire, optimistic, buoyancy and hope gyrate in the air. Churches and streets are full of families, young people, and children. Aroma of incense and voices of praises emerge from the churches where people are endlessly moving in and out and around. 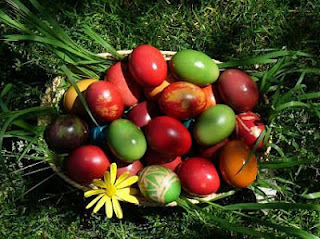 Easter (in Armenian Zatik) is belovedand the most expected holiday in Armenia. Armenia has been Christian country since 301, and since then Easter has been popular and participative public holiday. Everybody in the streets, at home in friendly and family gatherings greets each other and says: “Christ has arisen". The answer is “Blessed is the resurrection of Christ". Lenten fasting season lasts for 40 days before Easter. Christians, who want to fast, keep themselves away from sins and eat only vegetarian dishes. During fasting Christians attend the church and confess their sins, read Bible, keep themselves away from lasts. Towards the end of lent season a week before Palm Sunday is celebrated, when Jesus triumphantly entered Jerusalem. It’s a wonderfully decorated day: streets and homes are full of palm branches, people are crowned by flowers. During lent Armenian families also put lentils or other sprouting grains on a tray covered with a thin layer of cotton, and keep it in a light place of the house until Easter when sprouts appear. These green sprouts, symbolizing spring and awakening of nature, are the “grass" on which people place colored eggs to decorate the Easter table. Next Easter day is a day of joy and triumph against cold and darkness. Spring holiday and resurrection! Armenians have preserved the beautiful biblical lore which refers to red eggs and cheorek (sweet bread): “When Christ was crucified, his mother took some eggs and bread wrapped in the shawl. When the Mother saw her Son crucified and his arms bleeding, she knelt down and cried. The Mother’s tears and Son’s blood dropping on the shawl colored the eggs and bread. Then the Mother put the shawl on her head. Since that day people began coloring eggs red on Easter day and women began wearing shawls when visiting church. Everywhere in Armenia in Yerevan and in every city Easter is celebrated with traditional events, dishes, songs, greetings. 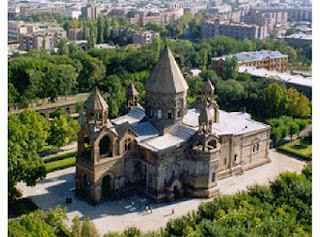 Especially remarkable are revels and merriments in Ejmiadzin, Dilijan, Garni and in many other places. Armenia hotels offer Easter discounts. The Easter atmosphere will be proliferated upon everyone. 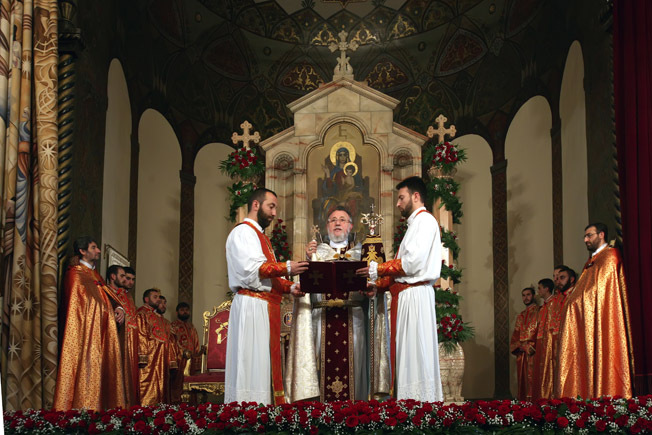 Special Easter liturgy will be held in Main Cathedral of Armenia in Ejmiatsin and in all other acting churches. Garni Pagan Temple also will join the celebrations and provide traditional Easter eggs, as presents. Yes, Easter is the most favorite holiday for all Christians. This is grand victory of life over death. Everywhere atmosphere of joy and peace. Wow! This can be one particular of the most beneficial blogs We've ever arrive across on this subject. Actually Magnificent. 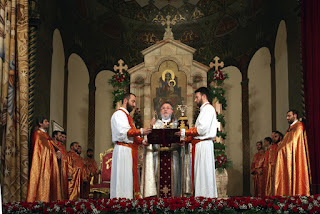 such an interesting post about Armenian Easter! I'll put another one here, in case if you are interested in this topic: https://www.iarmenia.org/armenian-easter/.